So what happens when you’re stumped by the cunning genius of Tetris? Why, eat one of these sugar cubes! The spirit of the iconic game lives on via a concept by Danil Zdorov. Of course, whether people will actually try playing Tetris with these remains to be seen, cos it’s more likely they sink the white cubes in their tea/coffee. Then again, Tetris cubes are a refreshing departure from plain, boring sugar cubes that don’t do much except melt and be forgotten once they’ve served a sweetening purpose. As for the Tetris variety, the function is the same but its link to a hallowed video game creates an emotional bond with the drinker that’s unprecedented. Alas, as a humble concept we’ve no idea if Tetris sugar cues will ever sweeten our drinking and ring light into the lives of many. 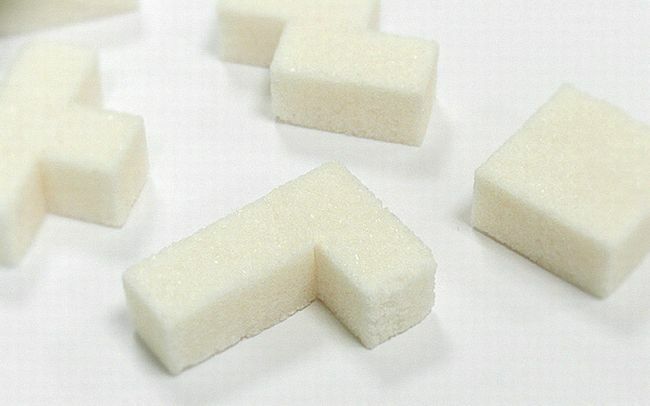 Still, how can anyone expect to play real Tetris using these sugar shapes?